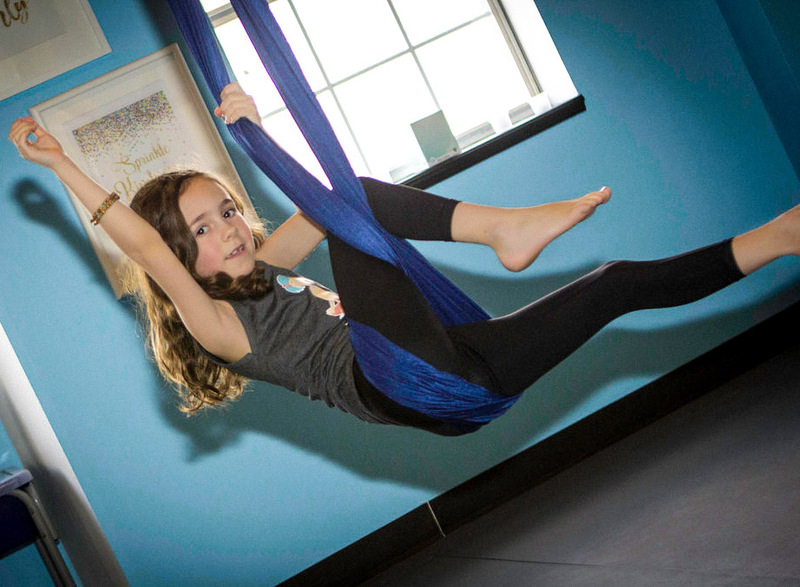 Mindful Child Aerial Yoga does NOT offer make-up classes. It is highly encouraged that students attend all classes. However, we keep classes small enough so that we can always catch kids up if they have missed a class. Mindful Child Aerial Yoga has a NO refund policy. Your child’s registration holds a spot in our classes/camps/private sessions with limited space/hammocks. Deposits are always non-refundable, as they pay for registration, supplies and payroll. Once you register for a program, we commit to supporting your child through the entire semester, and we want our families to return that commitment. We also teach in a way that supports research-based social and emotional learning. DROP-INS: We only offer drop-ins select times of the year. If you are unsure if you’d like to sign up for our classes, we’d love to have you at a FREE TRIAL CLASS! 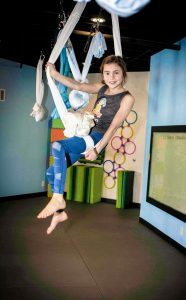 Mindful Child Aerial Yoga requires that all children be registered and prepayment online is required before they can attend classes. We limit our classes to 10 children and we cannot take payments right before class as it takes time away from our students. 1). Be mindful of yourself and those around you. 2). Be kind and respectful to yourself, to others in the classroom, and to the instructors. 3). Be willing to try, learn and create new things each class. 2). Stay on task during class lessons. 3). Avoid distracting others during meditation/relaxation. ** If a child is unable to meet these expectations in a group setting, you have the option of enrolling in private sessions in preparation for group work or enrolling in the support program for an additional $180/semester, which assigns an additional helper to support your child’s individual needs in class. Mindful Child Aerial Yoga reserves the right to remove or transfer a child that is unable to meet the above expectations to ensure safety of all children and to honor the time and practice of all enrolled. ** Due to liability issues we cannot have parents or siblings in the studio during sessions. We have a live video feed that parents may watch in the reception area and a 10 minute presentation the last day of our aerial class sessions in which parents may enter the studio and watch a short aerial presentation.